Citadel homes offer fantastic living in Calgary’s family-oriented NW quadrant with beautiful mountain views. Citadel’s mix of single-family homes, townhouses, and condos attracts a diversity of residents to this welcoming neighbourhood. Working families, young professionals, and retirees all come together in the Citadel community, each sharing a desire to live in beautiful high-quality Calgary homes. The community’s premium location makes it easy for local homeowners to reach destinations such as downtown Calgary, the Rocky Mountains, and beyond. Citadel homeowners also enjoy the convenience of nearby Beacon Hill, which hosts a selection of shops and restaurants. Find your dream home in Citadel with the property listings below or read more about Citadel real estate! Some Citadel homes boast gorgeous views of the Rocky Mountains and the natural ravine that flows through the area, while others benefit from the community’s pathway system, parks, and playgrounds. 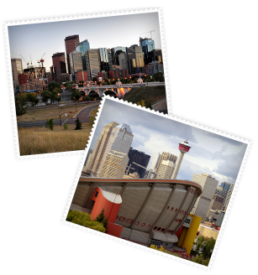 Citadel enjoys the boon of a well-established homeowners association, making it an attractive Calgary community. Citadel’s beautiful homes are further enhanced by manicured parks and trees, planted flowers, and beautiful brick walls. In addition to beautification, Citadel’s community association organizes family-friendly events and celebrations throughout the year. Citadel is also home to the Morningside subdivision, which features elegant homes that are architecturally similar to the neighbouring Hamptons community. Morningside is a highly desirable community because of its exemplary standard of living and high value-per-dollar. Discover Citadel dream homes and other fantastic NW Calgary real estate opportunities with the Calgary Real Estate Advantage team. Call 403-968-1496 or contact the Calgary Real Estate Advantage team online to get started!